Before we moved out west, my wife and I lived in Ditmas Park, Brooklyn for three years. It was a strange, beautiful neighborhood, an oasis of massive, single-family Victorian homes nestled between busy throughways and tiny co-op apartments like our own. Walking the nearby blocks felt a world apart from busy Manhattan where we worked. It was a transportive sort of balancing act: we could experience the busy, adrenaline-charged city and the quiet, lost-in-time charm of Ditmas Park in the same day, just a commute away. Our building’s super tipped us off to Manhattan Beach: we’d been to the thronging sands of Coney Island and the pay-for-parking getaway that was Fort Tilden, but it turns out we could take the B49 bus all the way down Ocean Avenue, straight to a quiet beach that wasn’t really on people’s radars. Like our lives in Ditmas Park, Manhattan Beach was a similar lesson in geographical dichotomy. The beach was a multi-cultural melting pot — classic New York — but it was one of those rare places in the city that reminds you that New York is still kind of New England, just a little more south. Gulls, seafood shacks, private wooden docks full of boats that people actually owned and used. It was dizzying to experience something so northeasterly and metropolitan at once, to witness how these seemingly disparate lives can so effortlessly coexist. 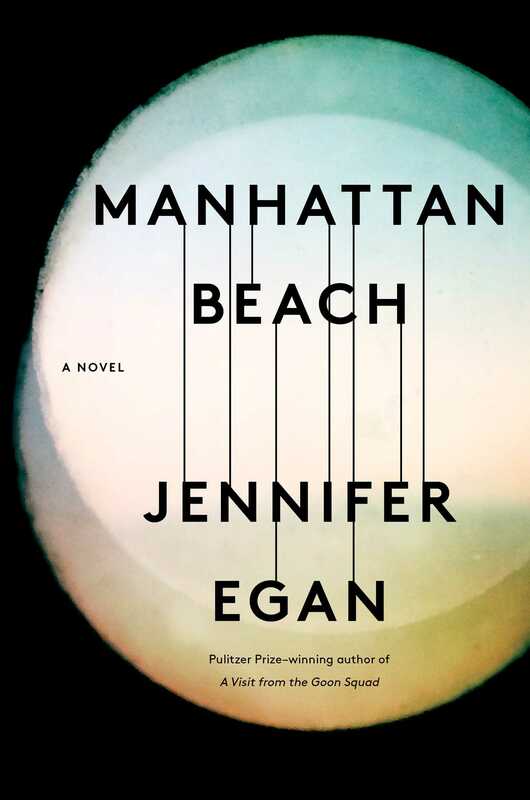 Jennifer Egan’s Manhattan Beach is a love letter to this kind of New York: a place that can be two things at once full of people who can be similarly doubled. Set in the troubled but relentless 1940s, Egan tells a coming of age story that’s also a gangster yarn, equal parts hometown and Hollywood. It’s a war story and a family story, about an ambitious young woman named Anna who’s dad disappears, leaving her to be both a wayward youth and her own father-figure. She lives with her mom (a worn-out dancer from the Follies) and together they take care of Anna’s handicapped sister. Her father’s seedy past shadows Anna as she attempts to shape an honest living at the Brooklyn Navy Yard. The theme of the sea (particularly the coastline of Manhattan Beach) recurs throughout the novel as a reminder of its two realms. During her girlhood, Anna and her father would remark on the ocean’s horizon: “not a ship in sight,” they’d say, quietly affirming Egan’s careful establishment of land and sea as two distinct environments. But, as the engines of World War II churn onward, those boundaries fade as life takes to the sea. Some characters join the merchant marine, and Anna, older, begins work in the Navy Yard as a diver, crossing another boundary across gender lines in the workplace. Anna’s diving provides another connection between two realms: the sensory deprivation she experiences in her two hundred pound submersion suit beautifully echoes her sister’s handicapped experience, they are two eager minds racing in bodies that don’t quite function as their brains command. Before his disappearance, Anna’s father worked for a gangster and club owner named Dexter Styles, whom Anna meets in adulthood. Through Styles, Egan introduces a light criminal thread throughout Manhattan Beach that further blends the novel’s thematic centers. Anna, a reader of Ellery Queen mysteries, finds herself amidst a gangster tale about the whereabouts of her father. In the same way a Navy Yard girl can find herself one night in one of Styles’ clubs among the Hollywood elite, Anna can both escape into a mystery story and try to solve one of her own. 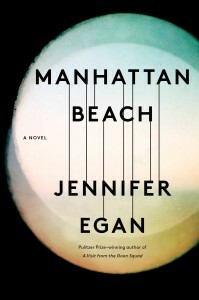 The gangland elements of Manhattan Beach don’t quite work as Egan may have hoped: the novel is remarkably tame and a sense of danger isn’t conveyed despite its numerous criminal turns. Gunshots, for example, are not heard until roughly three-hundred pages into the novel. Later in the book, one character says a gangster “isn’t much of a gangster” if a room doesn’t “[go] a little quiet when he walks in.” This is at once the trouble and the progressive intrigue of Manhattan Beach, which develops its criminals with as much heart as its more wholesome cast of characters. Egan later describes these mystery novels as “trapdoors” leading to memories, thresholds between the actual and the invented. While reflecting on his past with Anna’s father, Dexter remarks that “through him, [he] had tasted freedom from the constraints of time and space.” Manhattan Beach achieves such a feat. It’s a genre novel free of the confines of its genre, reveling in the threshold between two realms. It is two things at once, two places at once, and shows that it’s possible to simply be both; somewhere between land and sea, childhood and adulthood, Brooklyn and Manhattan.